The youngsters of Robert Gordon College march from the college to St Nicholas church, Aberdeen. Council leaders in Aberdeen are investigating ways to scrap controversial primary one tests. Douglas Lumsden and Jenny Laing, co-leaders of the authority, have written to chief executive Angela Scott to find out if they can halt the tests using delegated powers. If they succeed, Aberdeen City Council would be the first in Scotland to axe the tests, which teachers say are leaving youngsters in tears. The move comes just days after the Scottish Government suffered a defeat in Holyrood, with MSPs voting in favour of halting the standardised national assessments. Education Secretary John Swinney said afterwards he would “consider” that, but stressed schools should continue to make plans for the assessments. The tests were rolled out across Scotland last year to gauge the attainment gap, but have since been branded as “cruel nonsense” and “completely inappropriate” by teachers and unions. Last night, Mrs Laing said the SNP should “respect the will of the Scottish Parliament”. 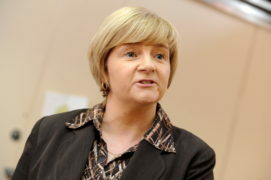 Political opponents rounded on the former education convener last night however, and pointed out she could have raised concerns about such the impact such assessments had on north-east youngsters well before it became a national political row – as Aberdeen has been doing them since 2012. Opposition SNP group leader Stephen Flynn said: “Some 29 of 32 Scottish councils already do tests for primary one, what the Scottish Government did was simply standardise them across Scotland. “I think we have to be clear that Aberdeen City Council has been doing them since 2012, a significant time. Labour councillor Mrs Laing said: “Trade unions, parents, teachers and now the Scottish Parliament have made their opposition to these tests clear. “Once the options available to use are clear, we will consider our next steps. Co-leader Mr Lumsden, a Conservative councillor, added: “For months now we’ve heard from teachers, staff and parents about opposition to these tests. “Following the vote on Wednesday, we are now asking for the options that are available to us as an education authority. A Scottish Government spokesman said it would be an “unusual” and “unwarranted” decision to pull the tests from Aberdeen schools. He said: “Aberdeen has, with the active support of their head teachers, had P1 assessments as part of their schools for many years. 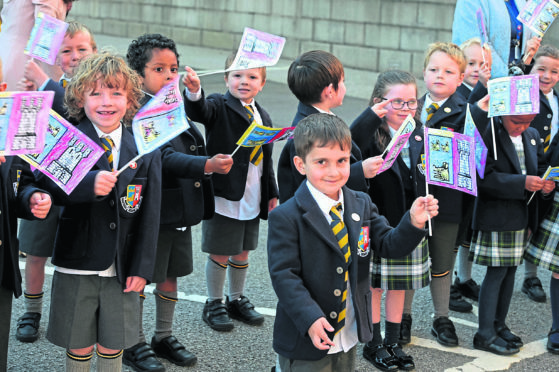 The assessments for primary one pupils were introduced across Scotland last year and have since faced criticism from teachers and parents, as well as teacher’s union the Educational Institute of Scotland (EIS). Opposition parties believe the tests are not in line with play-based learning and risk putting too much pressure on children at too young an age. However, the Scottish Government has insisted that the exams are not high-stakes and they help schools to assess whether or not children might need an extra helping hand in their earliest, formative years of education. A review by the Scottish Government of the first year of the standardised assessments concluded that questions in the tests were “stage appropriate” and said there were no plans to change their range or difficulty at the primary one level. The tests ask pupils questions on a variety of subjects, including maths, literacy and identifying animals. The assessments are carried out through a multiple choice computer exercise, designed specifically for five-year-olds.